A local court in Amsterdam allowed officials to ban the so-called beer bikes in the busiest sections of the Dutch capital’s inner city. The 12-seat rolling bars were popular among tourists, especially for stag parties, when drinkers were eager to explore the city and its picturesque canals while enjoying beer along with friends. But for Amsterdam residents, the contraptions were a public nuisance. They complained the beer bikes blocked roads and cycling lanes and encouraged drunk and unruly tourists. The ban took effect last Wednesday, a day after the court rejected arguments from four operators that the authorities’ decision to ban beer bikes was too drastic. “The ban is justified because of the combination of traffic congestion, disorderly behavior and crowded city center,” the court said in its ruling on Tuesday. The court agreed that the bikes disrupted public order, with riders shouting and sometimes even urinating in public. 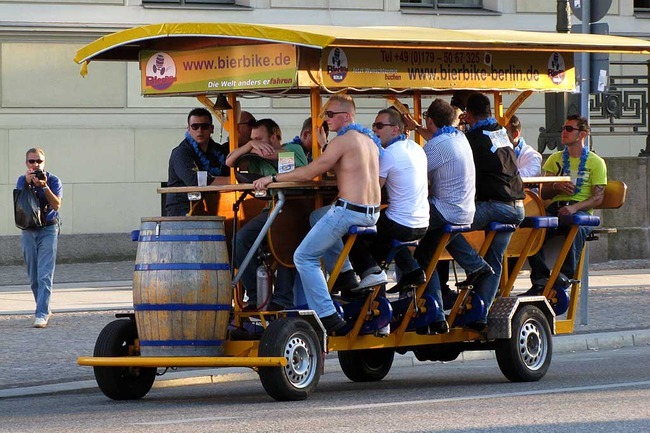 The beer bikes are pedal-powered carts with bicycle seats configured to work as bars on wheels. 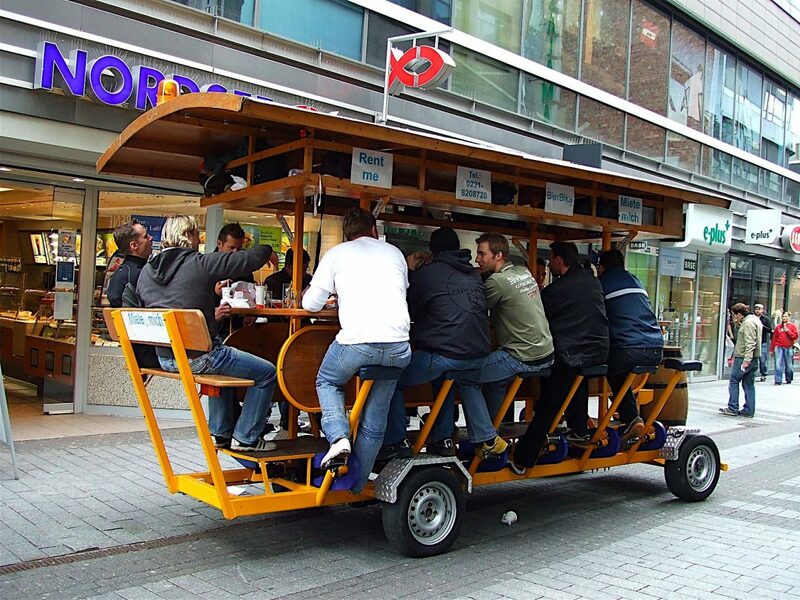 Passengers sit around a table on stools fitted with pedals and ride while gulping down beer and other drinks. 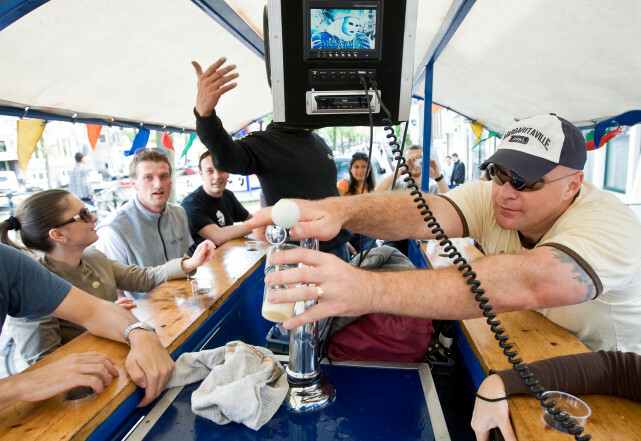 The practice of cycling through the city on a beer bike (or a bierfet in Dutch), was started in the Netherlands in 1997. However, in 2016 a petition insisting that Amsterdam’s city council to outlaw the “terrible phenomenon” garnered thousands of signatures, which ultimately led to last week’s court ruling.